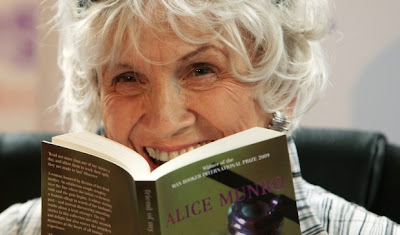 I received Alice Munro's newest book of stories, Dear Life, as a birthday present. In fact, I got it twice, and feel doubly blessed to have read it. Maybe it's particularly appropriate for those in the "older set." I qualify. But I actually think that this newest book is a great collection of stories for anyone; age not a factor. Still juicy. Still very good.